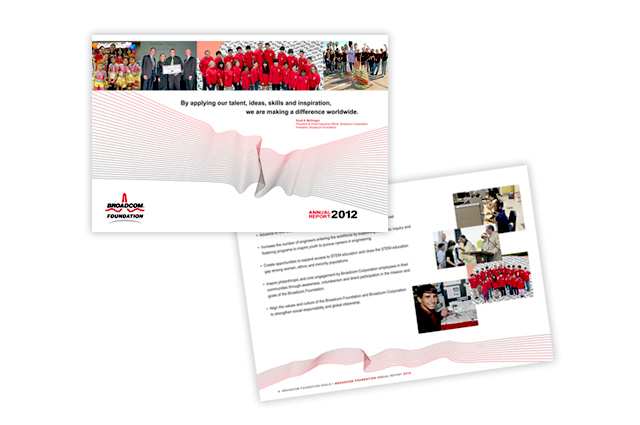 Objective: Since 2010, LITCO has been the creative visionary behind the Broadcom Foundation’s annual report. Our team concepts and designs the creative look and page spreads based on the brand’s guidelines using supplied imagery and copy. The project is used by senior management for a variety of external and internal presentations and lives on the Broadcom Foundation website.